Looking for movers with good reviews? The Reviews Written By Our Customers Tell the World Who We Are. AND WHY WE’RE BETTER THAN OUR COMPETITORS! If you’ve worked with us before, please leave us a review. We’re always looking for feedback from our valued customers. Future moving customers will appreciate your honesty and time. So do we! Movers On Duty were my final decision when I was looking for a good moving company. They helped me and my husband move our things from NY – New York to Arlington – Virginia (All done in 2 days). There wasn’t a single damaged item. They did a good job. The pricing wasn’t that bad. I would give them 5 out of 10. While we had some issues with the space on the truck, the movers came and moved out a full house in less than 2 hours. Best price in the area and very respectful. I had the best move ever with Movers on Duty. They are courteous and polite. The move went vey smooth and I cannot be happier. I recommend them to eveyone including my friends and family, and i will definitely use them again. These guys are real professionals. I moved from DC to south Carolina, and these guys took care of everything. They arrived on time and took care of all my belongings. Thank you movers on duty for treating me like family. Thank you for taking care of everything. The only thing I had to do was open the door and you guys did everything else. I moved with Movers on Duty a few weeks ago. I just wanted to take the time to thank them for their good job.The three young men who did the actual move were fantastic. They did a magnificent job. I should have gotten their names. They were professional, worked hard and swiftly. Please pass on my thanks to them and know that I will refer others to your company. 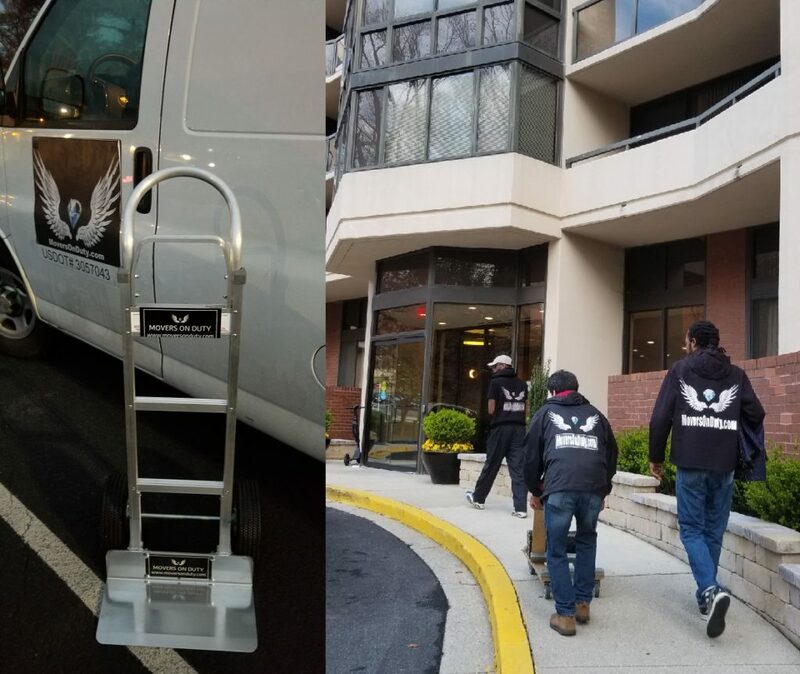 I have moved a lot of the years for my job, and without a doubt, Movers on Duty was one of the best companies I have dealt with. They were very professional, courteous and careful with all of our belongings. When we move again, I’m calling on you guys!Thank you Movers on Duty for a wonderful moving experience! Boston is a nice guy, and very professional. So were the 2 guys he brought. Movers on Duty were timely and took excellent care of my things. Whenever I had a question about the move, they quickly and promptly responded to my questions. And all for a great price! These are people that can perform miracles. They are able to take care of everything. I had so much junk to move and didn’t know how I would move it all. Thanks to movers on duty they made what I thought impossible possible.